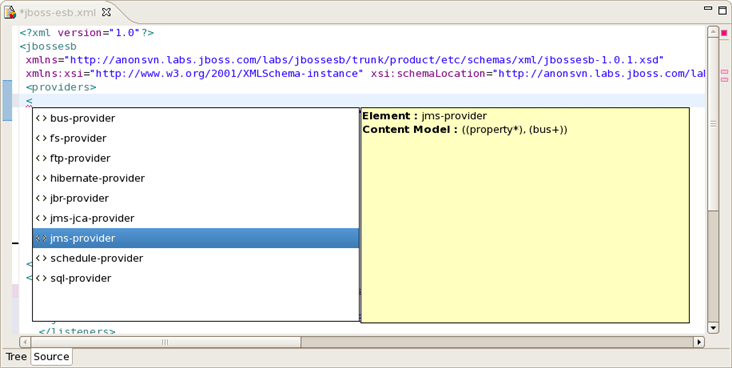 When you work with any ESB XML file in Source mode, Content Assist is available. It provides pop-up tips to help you complete your code statements. Type Ctrl-Space to see what tips are available.